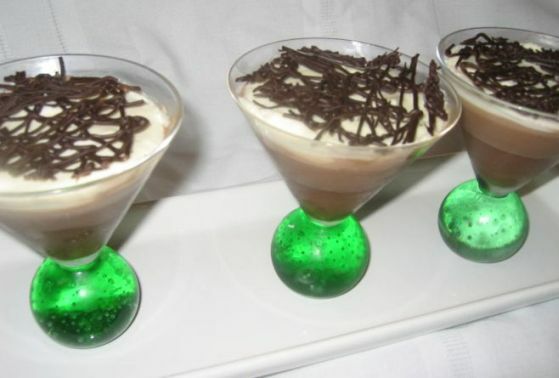 Chocolate mousse is one of the most beloved French Desserts! 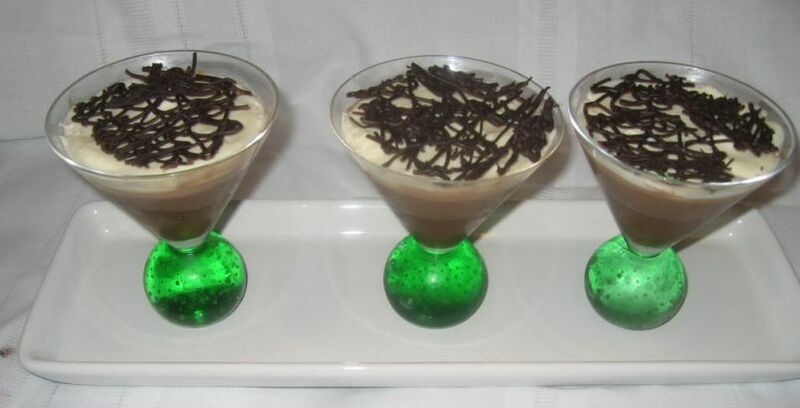 This recipe combine three kinds of chocolate mousse, bittersweet, milk and white chocolate to create a decadent chocolate dessert. 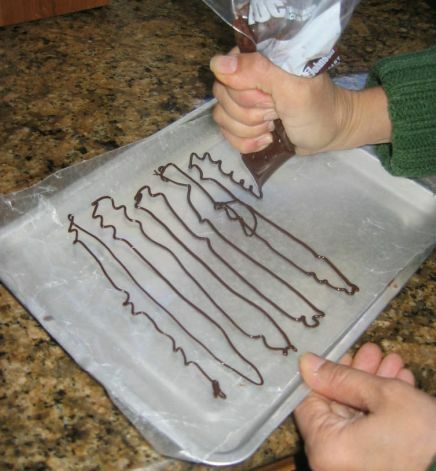 As you read through the recipe, you will see that each mouse is nothing more than chocolate cream and milk so therefore it is vital that you use the finest chocolates that you can find. 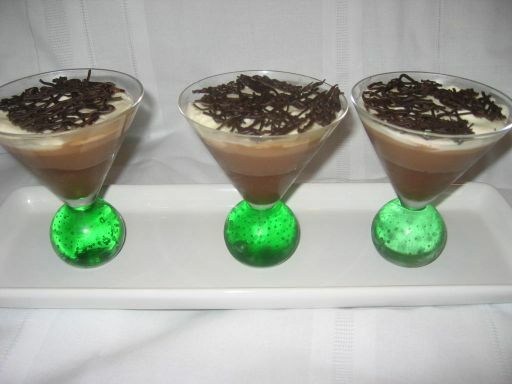 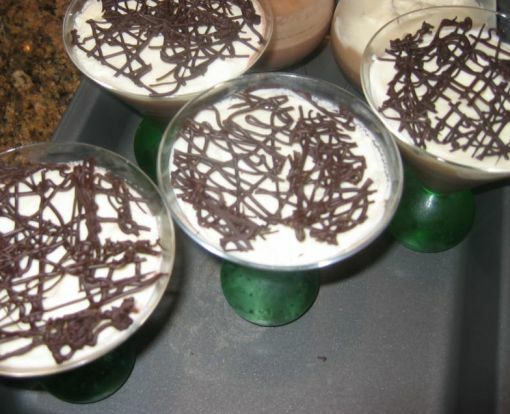 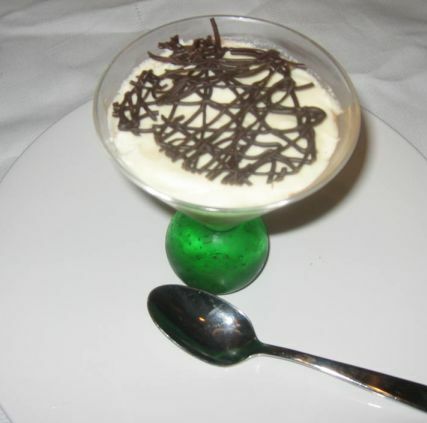 The Chocolate Mousse trio is served in 3 layers of mousse in a Martini glass. 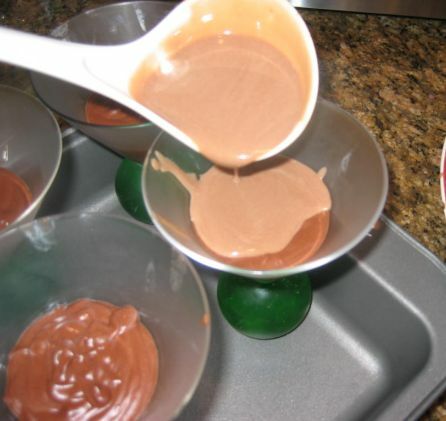 The top layer of chocolate is a nice addition to the mousse. 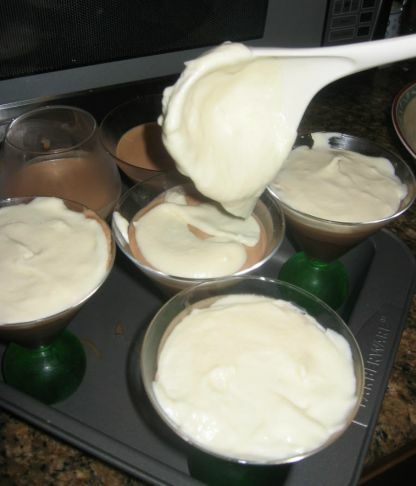 While eating this dessert you have to slip your spoon all the way down through the three layers and come up with a little of each flavor to each mouthful! 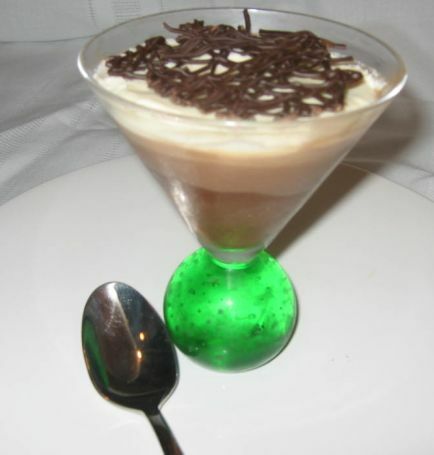 Close up view of the Chocolate mousse. 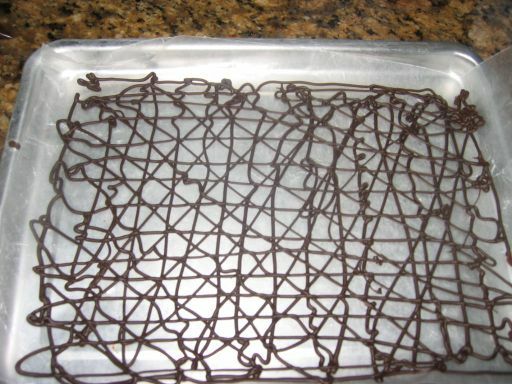 The mouse is actually very easy to make but it does take some time because you have three layers of chocolate that need to be refrigerated for a while before the next layer can be added on top. 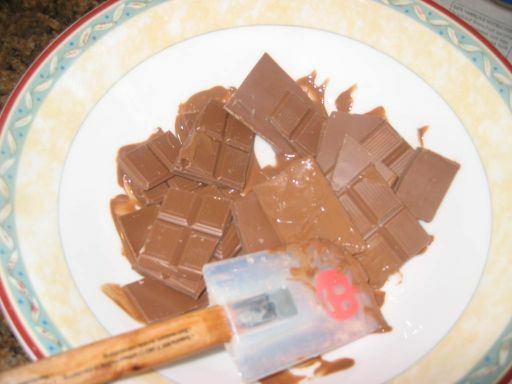 First, I am starting with the bittersweet chocolate. 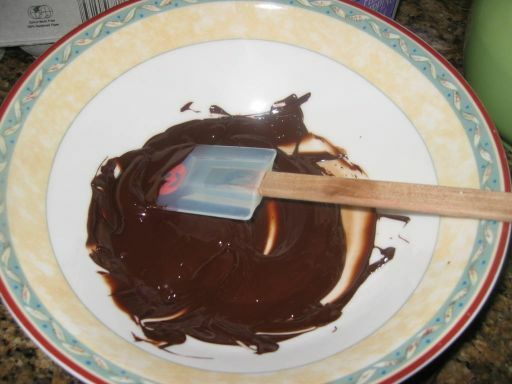 I am using Valrhona Chocolate 70% cocoa solids. 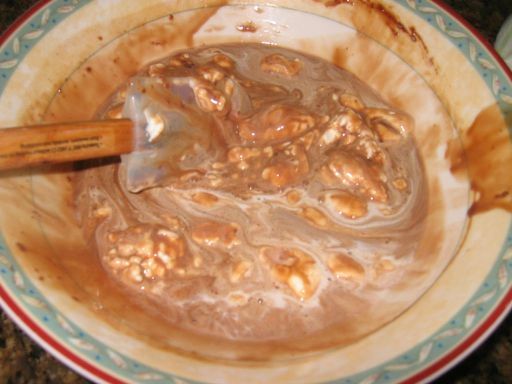 The chocolate is melted in the microwave. 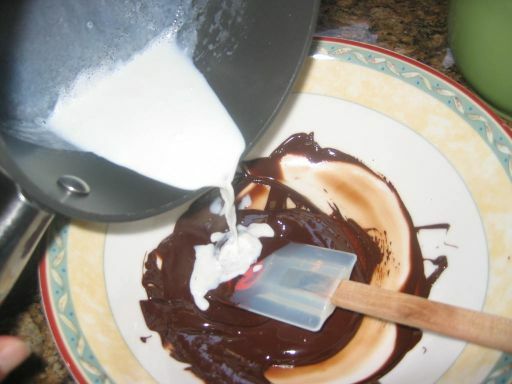 Next the milk is brought up to a boil and then poured on to the chocolate. 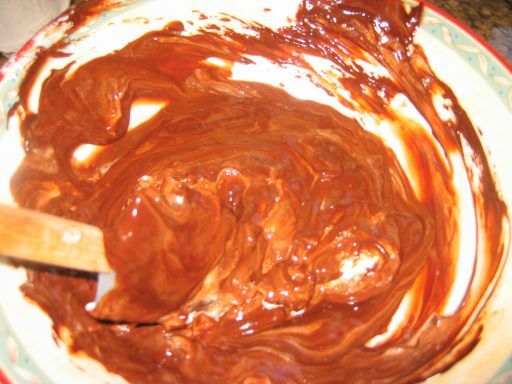 Whipped cream in then folded in to the chocolate mixture. 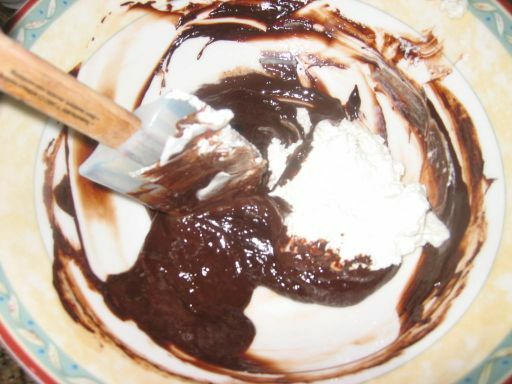 Here I am folding the whipped cream into to chocolate until it is well combined. 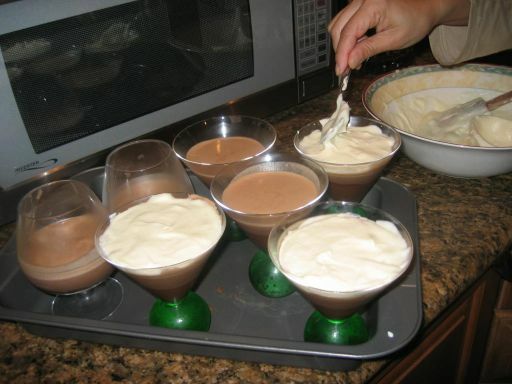 Spooning the chocolate mixture into 5 martini glasses and they will be refrigerate for a few hours. 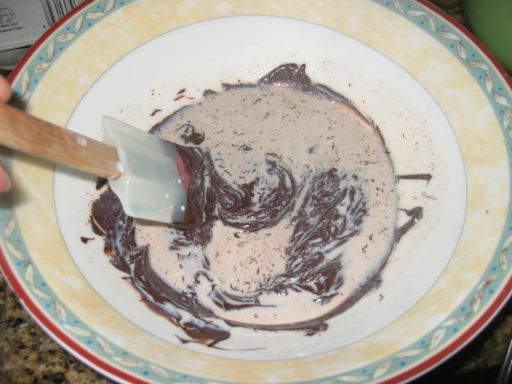 In the mean time I am preparing the chocolate milk layer by melting the chocolate in the microwave. 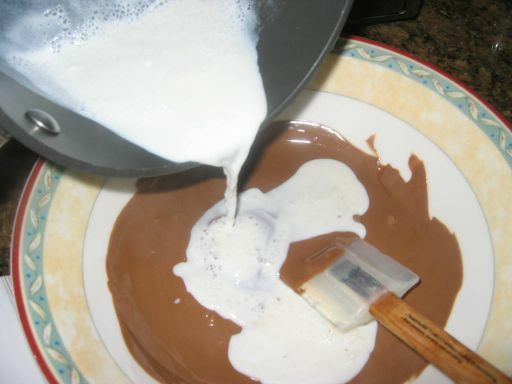 Hot milk is poured in the chocolate and then mixed until well combined. 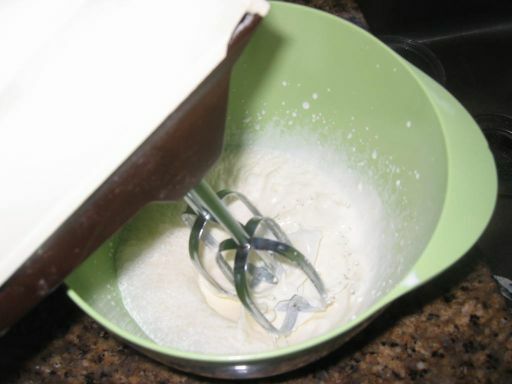 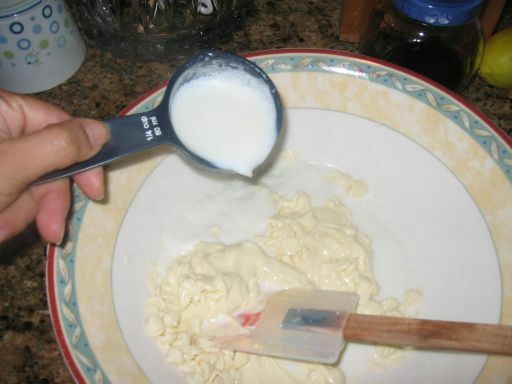 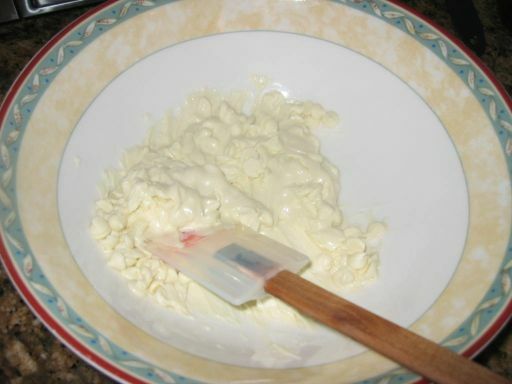 Next whipped cream is added and then mixed until well combined. 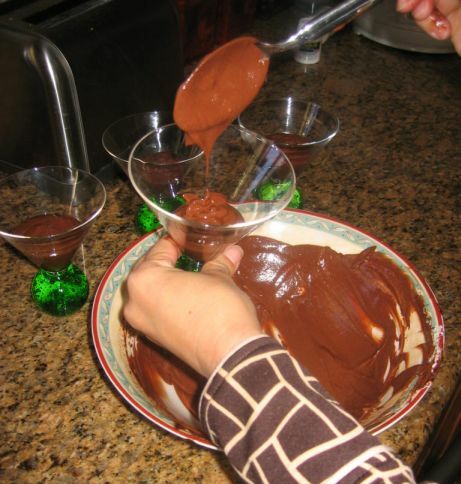 Next, I am removing my martini glass from the refrigerator and I am pouring the second layer of chocolate on top and then they will be refrigerated for a few hours before adding the last layer of chocolate. 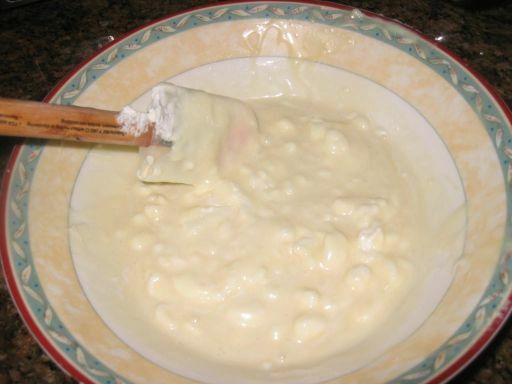 Melting white chocolate in the microwave.. 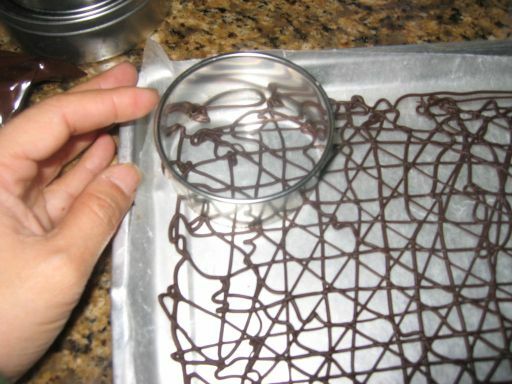 Here I am making the chocolate decoration on top of the martini glasses by melting some bittersweet chocolate and then piping the chocolate on a cold tray working in a zigzag and criscross pattern.